Four Golden Globe awards, a sweep at the Screen Actors Guild Awards and 10 Oscar nominations….that was it — I couldn’t handle the suspense any longer. I had to find out for myself just what the hullabaloo was all about. My verdict: average. The rags to riches fairy tale is one that I’ve seen time and time again. So what’s the fuss about? It certainly isn’t the implausible story. An uneducated boy who happens to pull from his past experiences in the slums, answers every question right on a game show to win Rs. 20 million and reunites with his childhood sweetheart. Give me a break. As the story progressed I kept waiting….waiting for the earth-shattering scene that was really going to mark this movie’s greatness–it never happened. Indians for the most part are definitely thrilled about the recognition A.R.Rahman has received as music director for this film. But even his score is not one to marvel over. Sure it’s good, I’m not saying I won’t play the soundtrack on “repeat” once I buy it (as I do with all the cd’s I buy). 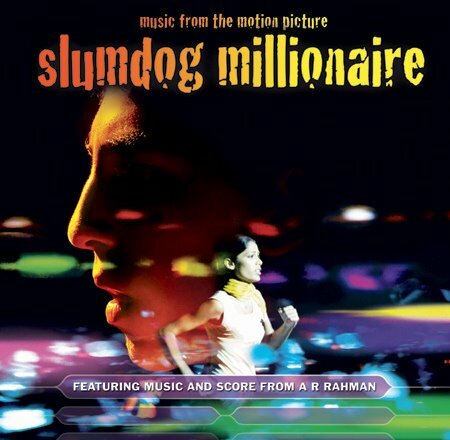 However, Rahman has produced even better music for films like Dil Se or his patriotic release Vande Maataram….so I’m still puzzled by the recognition he received for his work on this film, after over 10 years of producing unrivaled music. Is it the foreign director? the artistic cinematography? the talented young actors or the slovenly state of Mumbai slums that’s captivating so many? Regardless, I still didn’t find any one aspect worth all the ridiculous hype this film is receiving. The West is raving and the Indians are scathing. So where do the desis stand? Personally (and I have a feeling my view reflects those of many other desis), I think both sides are being ridiculous. We know there are many more deserving movies, but at the same time, I think the Indians need to stop being so sensitive to the portrayal of slum scenes or take offense to the realities of India. I’m in no way saying this is all India has to offer. Of course India is a land of rich culture and wealth. But it IS a facet which shouldn’t be ignored. As for those Indians who have written countless letters to newspaper editors, or those Bollywood actors who feel this is the West’s way to Indians as savage as India strengthens as a world power….give it a rest. There are several films made by Americans revealing the horrors of life in the ghettos and such. Moreover, your insecurities only make the West stronger, so take pride in India’s rich culture and history, and fix what ought to be fixed. I don’t think this movie should be taken as critical social commentary or even as a magnum opus from an artistic perspective. It’s just a movie people, so quit getting your loincloths in a twist over it.